If you follow me, you probably know that I’m quite busy lately. 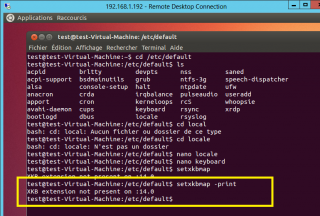 Recently, I’ve received questions related about xrdp and the fact that the keyboard layout is not working as expected when remoting to the ubuntu machine even if you have run the xrdp-genkeymap utility. This problem seems to be quite common when working with xrdp and localized keyboards. I didn’t had time to look into a proper solution. Till now ! I’ve spend my day off (Sunday) to have a look into the problem and try to come up with a solution…. We assume that you have installed the xrdp software using the instructions described here if you are using Ubuntu 12.10 or here if you are using Ubuntu 12.04. 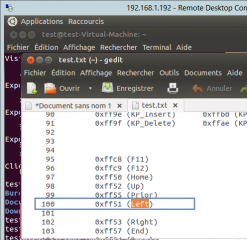 If this is the case, you should be able to perform a remote desktop connection into your Ubuntu from any Windows machines. If your keyboard layout is not set to english, you know that when connecting to the ubuntu machine via XRDP your keyboard layout will not match. As described in our previous post, when you pass the credentials in the xRDP login box, the default keyboard layout is set to English. When you establish the connection, your remote session will also use the English keyboard layout. 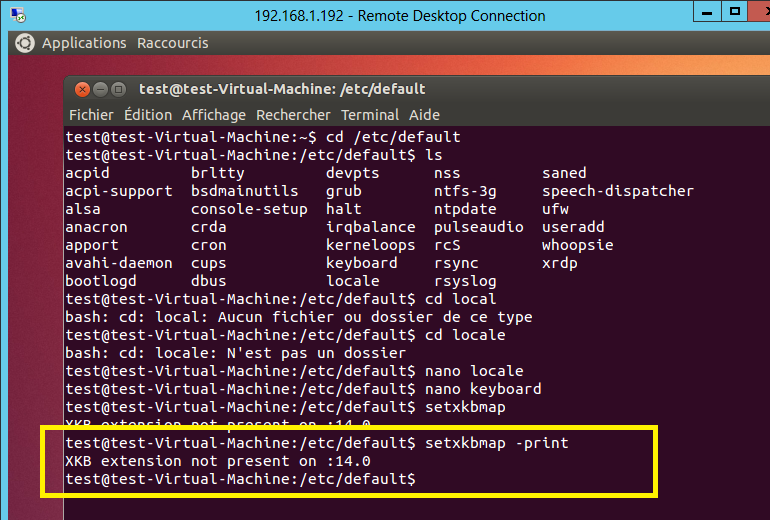 To fix this issue, xrdp comes with a small utility (called xrdp-genkeymap) that allows you to change the keyboard layout to be used during the remote session. After running the utility (see here for instructions – Solving Keyboard layout problem section), you would normally think that everything should be working as expected. This problem was driving me crazy and I thought I would need to try and fix it. This approach worked for me and this might work for you. You might need to spend a lot of time fixing your keyboard layout. To illustrate the purpose, I will give an example. 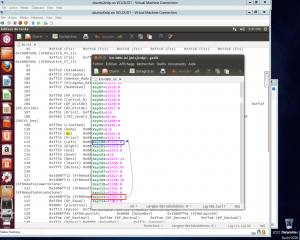 The key stroke Arrow left is not working in the remote session. 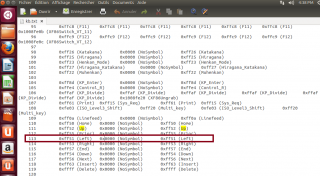 To fix this, we will compare the key code and the key value of the Left key stroke in the files we have generated here above. This screenshot shows the content of the ConsoleKbLayout.txt. You can see that the key Left is associated wit the key code 113 and has a Hex value of 0xff51. The km-080c.ini file controls the keyboard layout in your remote session. 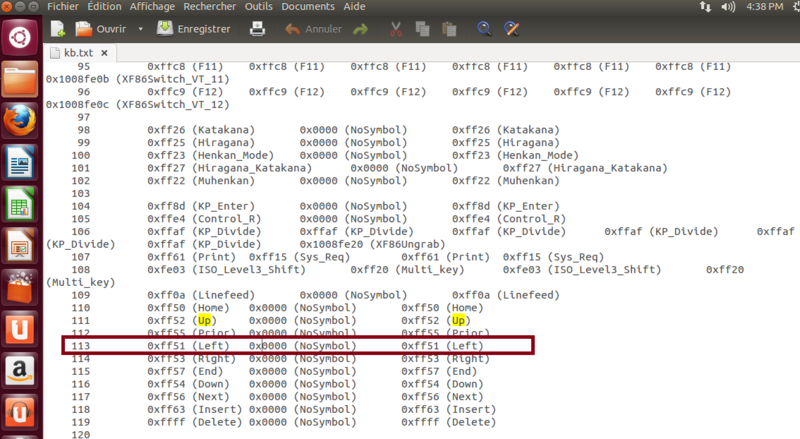 If we open the km-080c.ini (Belgian French keyboard layout in my example), you will see that the value of the key113 is set to 65361 (which is the decimal value of 0xff51) which represent the arrow left key stroke when connecting at the console. However, in the remote session, the arrow left arrow is assigned to the key code 100. So, we need to copy the value found at the key code 113 and paste it at the key code 100. You will need to perform this operation for each key stroke that is not recognized in your remote session. If you have a working key map file for other keyboard layout than mentioned above, please submit a comment so I can get in touch with you or submit the file to the xrdp community directly. I’ll upload and attach the file to this post. km-0809_v1.1.ini (This is an updated version of the file provided by Nino Pereira. This file seems to correct some issues with the UK Keyboard layout. Not a problem, always happy to see people finding their ways…. Hello. I copied the Maxweel Leite file (km-416.ini). How do I set which keyboard map to use? I made the following command: “setxkbmap -layout pt” but did not update. The arrow keys such as the left do not work. Thank you. I am trying to get xrdp working with Ubuntu 16.04.2 and the gnome3 desktop. Your posts have helped a lot and apart from a few small things, I am pretty much in box. I am using a Norwegian keyboard (0414), but can you explain to me a few things. 1) I downloaded the keyboard mapping from git, based on info in one of your blog posts. Why are these known mappings just not delivered as default ? 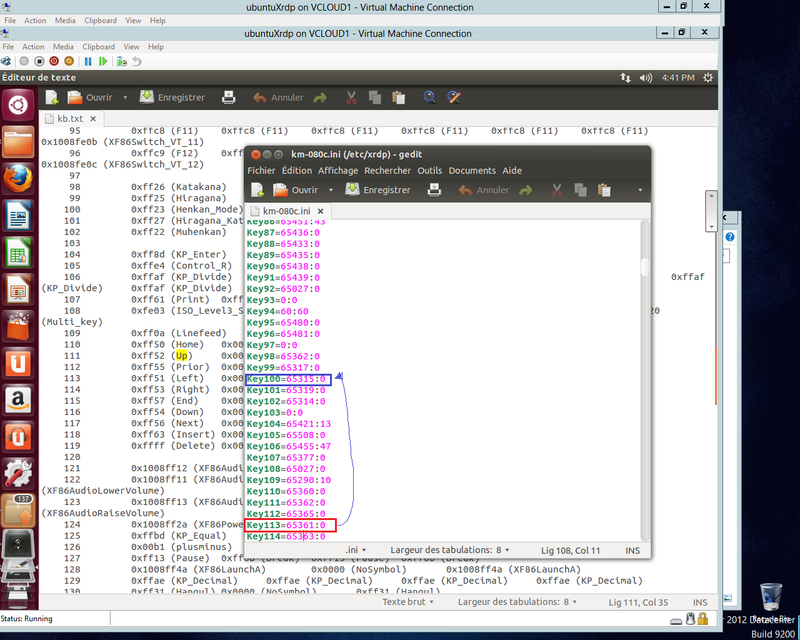 2) I personally needed to copy the km-0414.ini mapping file to km-0409.ini to get things to work. Why is this necessary? Where is xrdp getting the info that I have a US system (which I do not). Or this this just some crappy default? after reboot you should have the keyboard working like you set it to work. Több napi keresés után találtam meg a helyes magyar (hungarian) kiosztást.